Dr. Kris Arnold and Dr. Jason Stephens are chiropractors serving New Paris and the surrounding communities. 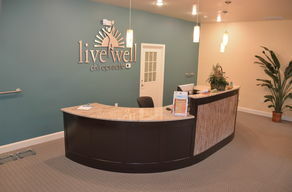 The doctors and the rest of the friendly team at Live Well Chiropractic are dedicated to chiropractic solutions to target your unique health needs, whether you are suffering from pain, headaches, decreased energy, loss of flexibility, allergies, bowel problems, immune system weakness, asthma, ear infections, concentration problems or other health issues. We are wellness chiropractors who know how to find the underlying cause of your health problems, not just get you feeling better but truly healthy and show you ways to stay healthy for a lifetime. If you have a specific condition or you just want to improve your overall health, our chiropractors can help you achieve your wellness goals! Please visit the testimonials page to see what our patients are saying about our wonderful chiropractic team and getting regular chiropractic treatments. At your first visit to Live Well Chiropractic, Dr. Kris Arnold or Dr. Jason Stephens will explain the science behind how chiropractic care works, and give you a full evaluation to see if chiropractic care is right for you. If there is a good fit, we can develop a plan of chiropractic care that is specific to your condition and health goals. If you are new to seeing a chiropractor and want to find out more, please email us or call (814) 624-0606 to receive personalized answers to your questions from our friendly team. We also welcome referrals, so feel free to share our health information with your friends and loved ones. We use the finest chiropractic adjustments to restore the nurturing life force of the nervous system to enhance, transform and expand each person's health and life. Our goal is to provide the education and inspiration needed to help each person make positive lifestyle changes and choices so they can experience the greatest health, happiness and well being. Sign-up using the form or call us at (814) 624-0606 to take advantage of this exclusive offer. Dr. Kris was born and raised right here in Bedford County on a family farm. He always had a desire to help other people so he chose to learn one of the most natural forms of health care, Chiropractic. 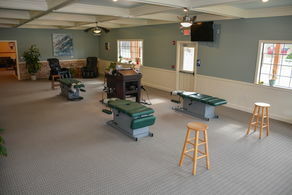 He graduated from Parker College of Chiropractic in 2000 and returned home to set up his office in the Bedford area. I am the chiropractic assistant that will greet you on your first visit. 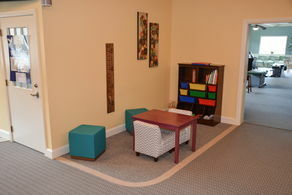 I will personally lead you through your first couple of visits to ensure that there are no surprises and you get the most out of your care here at our office make. We will get to know each other very well and I really enjoy meeting each and every one of you. 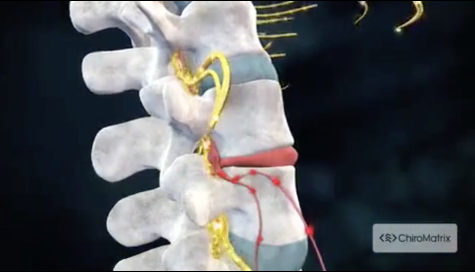 "Before Chiropractic I was suffering from chronic back pain, foot pain, and sciatica. Dr. Kris's adjustments have me feeling great with all over pain relief and a healthier body."